Courtesy of Bob Slawson Realty. Open ranch style home with finished walk out lower level on water! Over 4700 SF of quality perfect for entertaining! Beautiful hardwood floors, expertly crafted wood trim, lots of sunny windows with water views. Granite tops, solid interior doors, custom made cabinets and built ins. 12′ high beamed ceiling in great room. Special architectural features abound. Den/office could serve as fifth bedroom. Lower level features rec room and bar area with walk out to the patio, plus two bedrooms, a full bath and plenty of storage space. Extra deep finished 3 car garage with 8′ tall overhead doors, full yard irrigation, and zoned heating and cooling. Screen porch with grilling deck plus patio area all with water views! 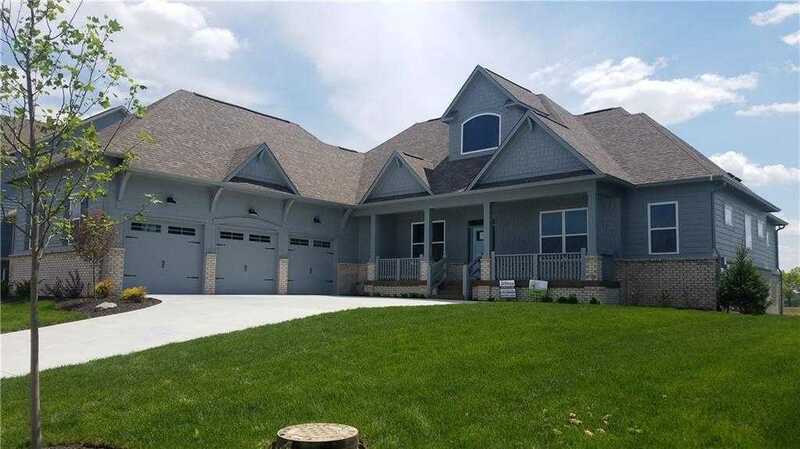 Please, send me more information on this property: MLS# 21609846 – $689,000 – 3529 Roudebush Way, Westfield, IN 46074. I would like to schedule a private showing for this property: MLS# 21609846 – $689,000 – 3529 Roudebush Way, Westfield, IN 46074.